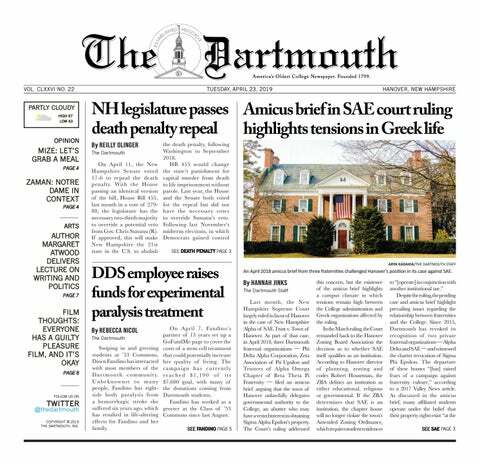 Dartmouth is a place with a lot of traditions. Perhaps it is those we are to remember. Winter Carnival is full of them, though some should be left in the past where they belong. We were glad to have an opportunity to reflect ourselves, and we encourage you to do the same. Looking backwards isn’t moving backwards, not at all. Looking behind us is perhaps the best way to move forward. With that in mind, this year’s theme for our Winter Carnival Special Issue is Memory.